Charles Post is a charter member of the Lower Trinity Valley Bird Club, and served as its president for two years. He has a special interest in bluebirds and has maintained a Bluebird Trail since 1989, monitoring 50-60 boxes in and around Liberty. He also coordinates the monitoring of the bird club's 115 box trail. He is a member of the North American Bluebird Society and contributes to their nest monitoring program. Charles has a B.S. degree from Stephen F. Austin State University, and has worked for Sun Pipeline Company for the past 25 years. 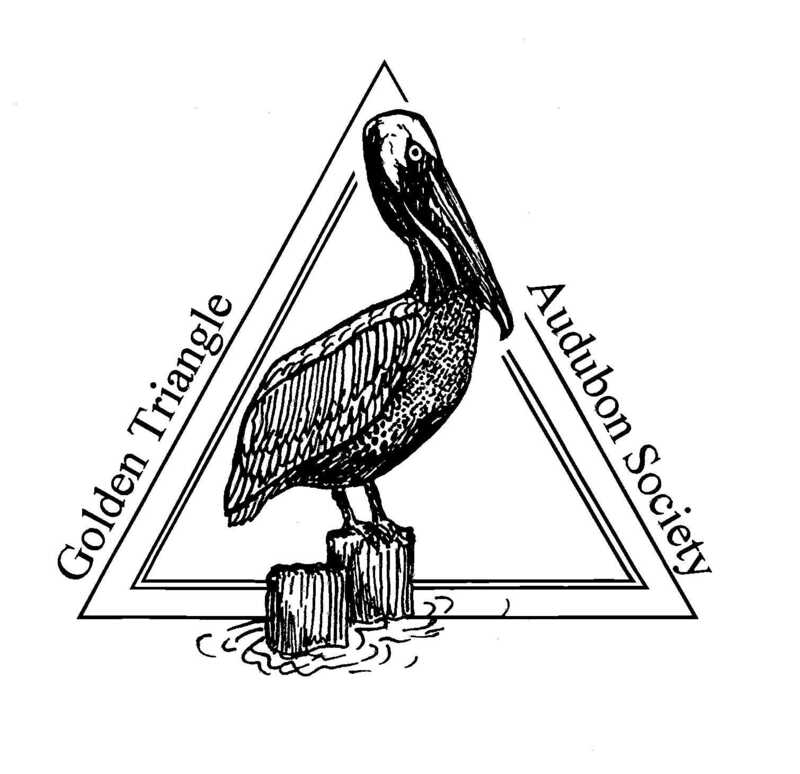 David Baker of the Big Thicket National Preserve was our speaker for the Golden Triangle Audubon membership meeting that was held on Thursday, January 20, 2000. Today David thinks that the single most important thing that could be done to preserve birds is marketing. The Big Thicket was set aside for preservation management. According to David, there is a very powerful connection between marketing and preservation. If you can attach a financial value to a living resource it guarantees its survival. This is why marketing is important. The Great Texas Coastal Birding Trail is one of the greatest preservation efforts of this state. It is attaching a tremendous financial value to migratory songbirds. Tourists that are attracted to this trail will generate lots and lots of money in Texas and some of that money will go to the counties and some will go to preservation. One of David’s jobs is to get people to fall in love with the Big Thicket. Because what people love they will take care of. development of a slide show. Then a power point program was developed. Media coverage with the local TV stations is another marketing device used. A video was made. Coming up on March 11 at Tony Houseman State Park and Wildlife Management Area there will be a Southeast Texas Migration Celebration, which will celebrate the first spring migration since the Upper Texas Coast Section was opened. To orient the service providers to the trail, a handout was developed for the people that met the needs of the trail users. Hospitality training programs have been developed to train people in certain industries how to work with the general public and met their needs. Developing a packet of information obtained through the Chamber of Commerce that would cover all areas of the trail not just a particular area within a certain city. To educate more people about birding a Beginning Birding Workshop is starting on February 12. It was through the power point program that David took us on a journey around the Big Thicket Loop of the Great Texas Coastal Birding Trail. There are 19 sites, at least 250 species of birds, and is a 350 mile round trip. Each site is marked with a brown sign illustrated with the familiar Black Skimmer logo, as well as a unique site number that corresponds with a beautiful and informative map. The trip starts at Site 1, which is at Tony Houseman State Park and Wildlife Management Area. Site 2 is Bon Wier. Site 3 is Wild Azalea Canyons. Site 4 is Toledo Bend Reservoir. Site 5 is Champion Canyon Rim Woodlands Trail. Site 6 is Sam Rayburn Reservoir. Site 7 is Angelina National Forest Boykin Springs Recreation Area. Site 8 is Angelina National Forest Upland Island Wilderness, Bouton Lake, and Sawmill Trail. Site 9 is Champion Woodland Trail. Site 10 is LPC Dogwood Trail. Site 11 is Jasper State Fish Hatchery. Site 12 is East B.A. Steinhagen Reservoir. Site 13 is Martin Dies State Park. Site 14 is West B.A. Steinhagen Reservoir. Site 15 is Big Thicket National Preserve. Site 16 is Gore Store Road and Turkey Creek. Site 17 is The Nature Conservancy of Texas Roy E. Larson Sandyland Sanctuary. Site 18 is Village Creek State Park. Site 19 is Tyrrell Park and Cattail Marsh, which many of us love to bird time and time again. David talked about each site in the program. The trail is an ecotourism project. This trail will have an impact not only on our economy but also on our values. Not only the way we see ourselves but the way we see the world. Then he told us a powerful story (if you were not at the meeting I’m sorry you missed it). I think David’s story was trying to demonstrate how easy it is for us to destroy nature but it is difficult or even impossible for us to repair what we destroy; therefore, we should learn to respect our ecology and learn to love and preserve our ecology. Thank you David for making our January membership meeting a great one. It was enlightening to learn about the marketing techniques used to generate interest in the Great Texas Coastal Birding Trail. As David suggested, you will need 4 or more days to journey around the Big Thicket Loop, but it only takes about three hours to attend a membership meeting. Our next meeting will be Thursday, February 17, 2000.